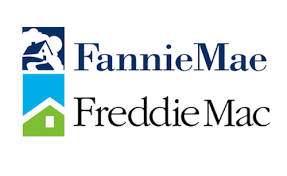 Fannie and Freddie Set to Increase Loan Amount Limits in 2019? As of late October 2018, the 30-year fixed rate mortgage fell five basis points back from the week before to 4.85%. The first year 15-year mortgage is now 4.26% which was three basis point slower than last week. 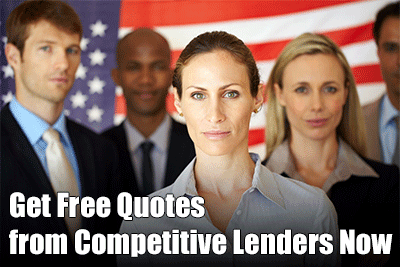 The Mortgage Bankers Association also reported a 7% decrease in loan applications from the last week. The bottom line is if a borrower gets a 30-year fixed rate loan on a $453,100 loan, last year’s payment would have been $260 lower than last week’s payment of $2390. Locally, real estate experts see well qualified borrowers able to get 15-year mortgages at 3.75 percent, 30 year at 4.50, and 15 year high balance loans at 4%. These experts also think that the Federal Housing Agency, which is the regulator and conservator for Fannie Mae and Freddie Mac will boost loan limits for Fannie and Freddie soon. Every year, FHFHA calculates any potential changes to loan limits in the third quarter year over year home price index or HPI. HIP tracks the average of home prices that were purchased across the nation by Fannie and Freddie. It is not clear what the actual increase will be. But experts do point to the second quarter 2018 HIP as a possible guide to the third quarter index. Second quarter was up to 6 percent relative to the second quarter in 2017. Also, third quarter year over year data from Irvine that is based on Attom Data Solutions have shown a typical price increase of 6% nationally. If FHFA raises the baseline loan limits by 6%, then the new conforming loan limit for Orange Country, Riverside and San Bernardino counties will go from $543,100 to $79,833. Jumbo loans for Orange and Los Angeles counties could risk from $679,650 to $719, 749, which would be nice. This is key because Fannie and Freddie have better prices for mortgage shoppers than having to take out jumbo loans. The FHFA loan increase announcement will be made very soon, mostly by the first week of December. Check out the most update requirements for Fannie Mae. Fannie Mae and Freddie Mac did make the exported increases in the conforming loan limits for Fannie Mae and Freddie Mac mortgages. The conforming loan limit will rise from $53,100 to $484,300. This is an increase of 7% from this year’s loan limit to next years. The conforming loan limits for Fannie and Freddie are determined by the Housing and Economic Recovery Act of 2008, which set the baseline loan limit of $417,000, and mandated, that after prices declined, the baseline loan limit may not rise again until pries return to their pre-decline levels.